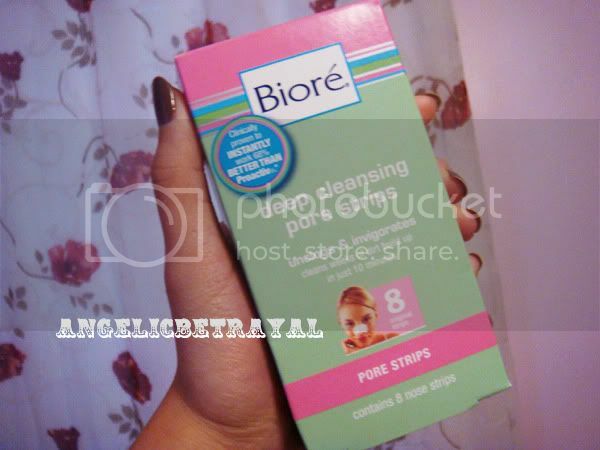 Biore Deep Cleansing Pore Strips: Must Have or Pass? I picked up a box of the super popular Biore Deep Cleansing Pore Strips a few weeks back and so far I've used four strips. This is my first experience with pore strips and I do not have a major problem with my nose area but once in awhile there will be gunk and small blackheads in that area. I got these in a set and I had a coupon so I figured I'd try them out just for fun. The box retails for about $6-8 I believe so they are not exactly inexpensive but they won't break the bank either. The strips are individually packaged with clear instructions and ingredients on each. After taking a shower and my pores are open due to the hot water and my face is cleansed, I'll stick one of these strips on my nose. The instructions suggest you use a strip a week but for me that is too often and I don't see much difference so I use one every two weeks. It takes about 15 minutes for the strip to dry into a paper mache like sticker on your nose and then you just peel off the strip. It doesn't hurt and I actually somewhat like the feeling when I'm pulling the strip off.... That may sound weird but maybe I just get excited to see what gunk I pulled out of my face :D WARNING: Pictures ahead! If you're squeamish do not continue reading! Ok, maybe I exaggerated. As you can see the strips do pull out some little troublemakers like whiteheads and hairs. I don't think I have a lot of blackheads or whiteheads to begin with which is why I may not see as much stuff being removed. I always like inspecting my strip after I remove it just to feel a little better about my nose haha. Unfortunately the strip sometimes does not sit properly on some of the contours of my nose so it does not dry onto that area and does not pull out the gunk from there. Places like the tips of my nose and the corners are especially hard to cover and so not as much gets pulled out from there. 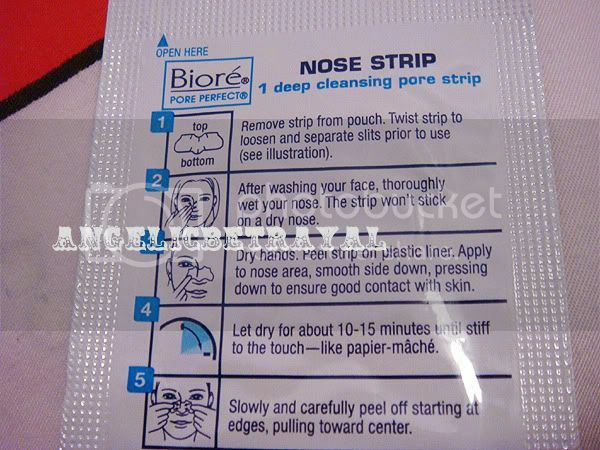 You need to wash your nose and face once again after peeling the strip off because it leaves a glue-like residue. My skin is waaay too sensitive for pore strips but I use them once a month or so. I cut them to fit just my nose because no matter how I adjust the strip, it doesn't fit around my nose! 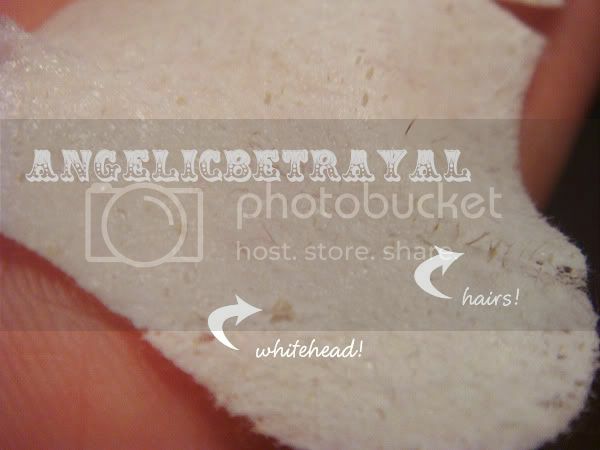 I think I should get it b/c I have a lot of blackheads around my nose... thanks for the review! I will probably use it once a month or when I feel like giving myself a "treat".